Relational database like MariaDB is one of the required components to setup a web server as well as other less common uses such as when configuring a shared Kodi database. On Arch Linux MySQL has been replaced by a functionally identical community fork called MariaDB. The installation is also practically identical and as simple as can be expected. By default MySQL will run as the user running the command unless a user is explicitly specified with --user option. Path to the installation directory can be specified with --basedir option while data directory is specified with --datadir. If you encounter an error like Failed to start mysqld.service: Unit mysqld.service failed to load: No such file or directory. first double check the spelling is correct. If it is then try rebooting and starting the service again. The default configuration only allows connections from localhost network interface. This is generally desired due to security risks associated with allowing remote access. There are cases however that require remote access. As an example remote access to the database is required to successfully configure shared XBMC / Kodi database on Arch Linux. Look for skip-external-locking option under [mysqld] section and uncomment it. This option is used to prevent database corruption due to multiple processes modifying data at the same time. In the same section edit or add the bind-address option. A special value of 0.0.0.0 will allow any host to connect to mysql. A more security conscious option is to allow only host on a local network to connect in which case the IP address of the machine hosting MySQL database should be used. If any of the options do not exist in the file it should be added by hand. 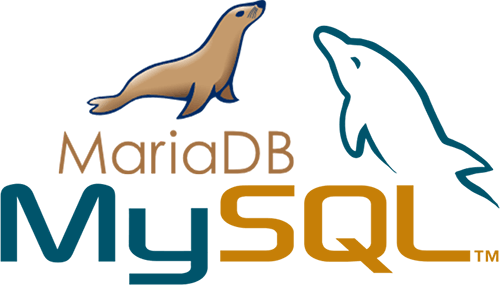 Use command line or Install phpMyAdmin to administer MySQL / MariaDB databases.